Space Facts You Didn't Know! The Stars that surround earth all belong to the Milky Way galaxy, which is an enormous disk shaped collection of stars, gas and dust. There are more than 100 BILLION stars in the Milky Way galaxy. The Sun is one of them. 1,300,000 crushed up earths could fit inside our sun! Checkout the planet sizes on the image to the right. The sun is soooo big it won’t even fit completely on the page! Did you know that it takes the Space Shuttle about 8 minutes to accelerate to its orbital speed of more than 17,000 miles per hour? The maximum equivalent horsepower developed by the three engines is just over 37 million horsepower! Each of the Space Shuttle’s solid rocket boosters burns 5 tons of propellant per second. 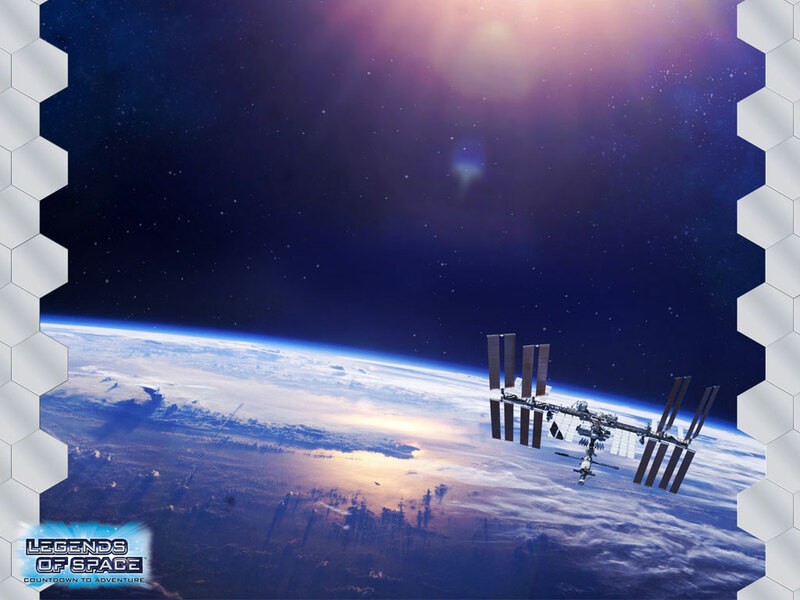 Space shuttles orbit the Earth at an altitude between 200 and 385 miles, depending on mission requirements. Shuttles have a wingspan of 78 feet and length (STS) of 184 feet! The gross Take-Off Weight is equal to 4.4 Million pounds! The first shuttle flight was April 12th, 1981. The three-stage Saturn V was taller than a 36-story building. It was the largest and most powerful rocket ever launched by the United States. It produced over 7.5 million pounds of thrust at lift-off. 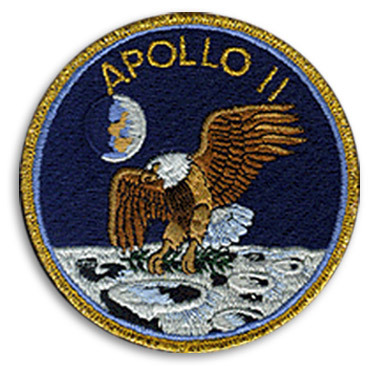 July 1969 a Saturn V launched the crew of Apollo 11 to the first manned landing on the Moon. NASA launched 13 Saturn V's from the Kennedy Space Center, Florida with no loss of crew or payload. With a cluster of five powerful engines in each of the first two stages and using high-performance liquid hydrogen fuel for the upper stages. The Saturn V is 363 feet tall, 33 feet round, weighs 6,699,000 pounds, and has two different storage areas that can carry over 100,000 pounds! I guess that means there is room for my mp3 player. 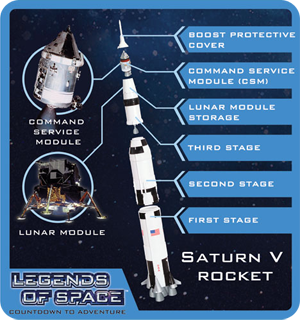 The Saturn V consisted of three stages—the S-IC first stage, S-II second stage and the S-IVB third stage. NASA is developing two new Saturn V type rockets called the Ares I & V (link). The two rockets are designed to carry astronauts to the moon, and someday Mars! 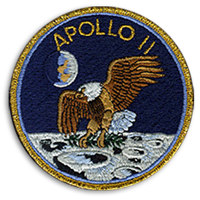 Mission patches are a tradition that started in the military, crews would design a patch that symbolized their mission. 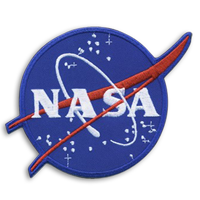 Most of the original astronauts were military pilots so it was only natural that this tradition would carry over to the NASA program. 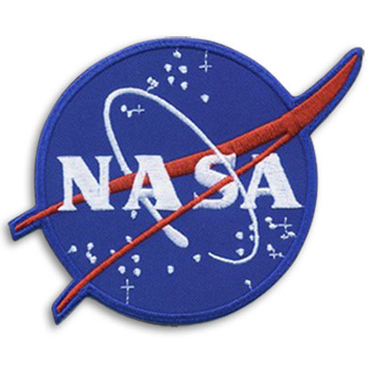 Oh and did you know that the NASA vector patch is nicknamed the “meatball”? You’ll never think of meatballs the same again! 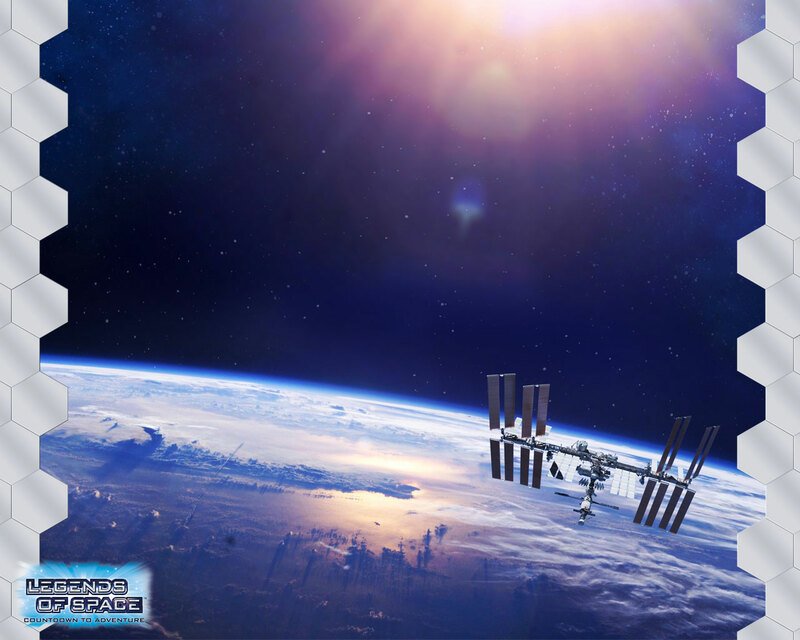 Here is a wallpaper for your computer desktop of the ISS space station in orbit.